Give a perfect decoration to your room by placing this most beautiful hand-knotted silk area rug in your room. It has a very unique design pattern which is called Nain. This design has been originated in 17th century. Find a reason to invite your friends and impress them with your luxurious lifestyle. 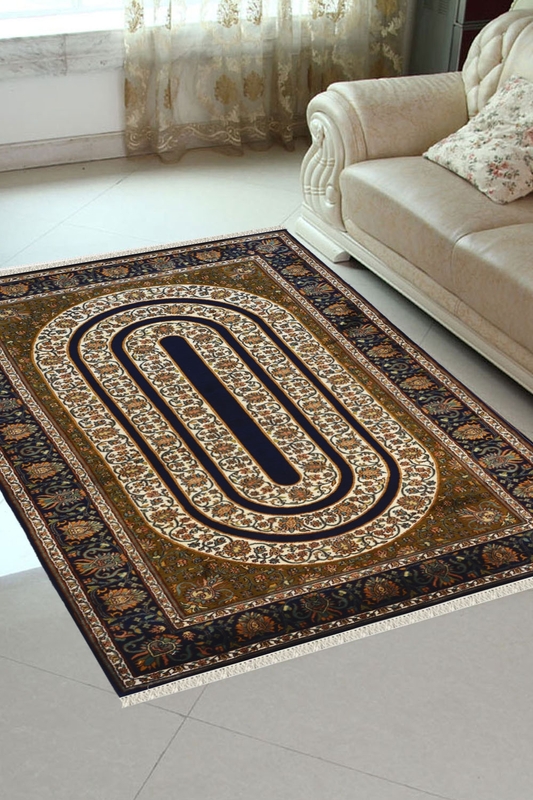 Buy this "One of a kind" Silk on Silk rug which is hand-knotted in pure wool. The weft and warp, both are in pure silk material. The design of this rug has been inspired by the field of flowers. The center of this area rug is the main attraction point of this carpet. It is a highly durable and suitable for indoor.